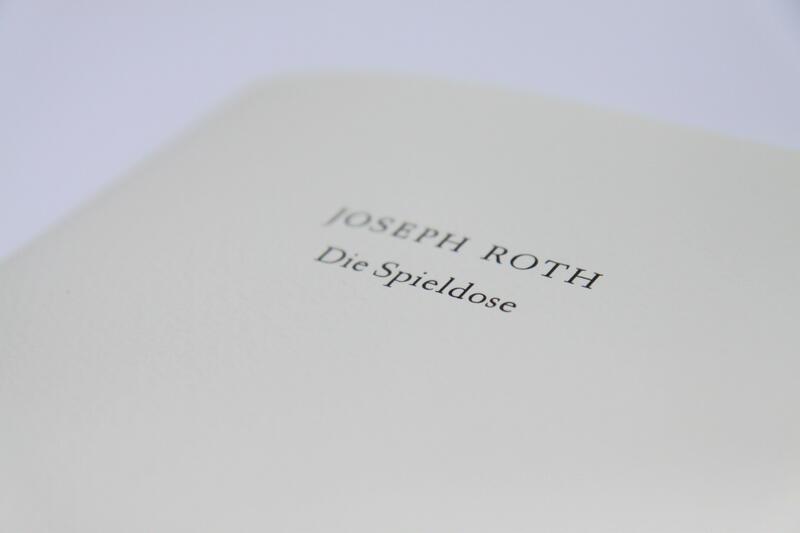 In cooperation with typographer Marlies Louwes I made a booklet, 28cmx18cm, inspired by Joseph Roth's 'Die Spieldose'. In 1920 Joseph Roth published in the Neue Berliner Zeitung 'Die Spieldose', a short prose text which is situated on the noisy Potsdamer Platz in Berlin. Marlies Louwes reprinted the text and I made a lithographs based on a rubbing of the street stones of the noisy Potsdamer Platz. 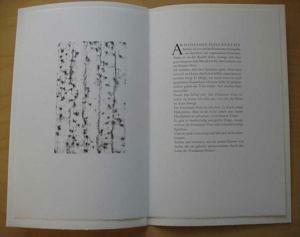 The text of 'Die Spieldose' is set in the Romulus and the lithographs is printed on Zerkall. The booklet is sewed into a cover of Fabriano Artistico. The booklet will be presented in Berlin (2015). It can be ordered via info@friederikelinssen.com (€ 40,- excl. forwarding charges).